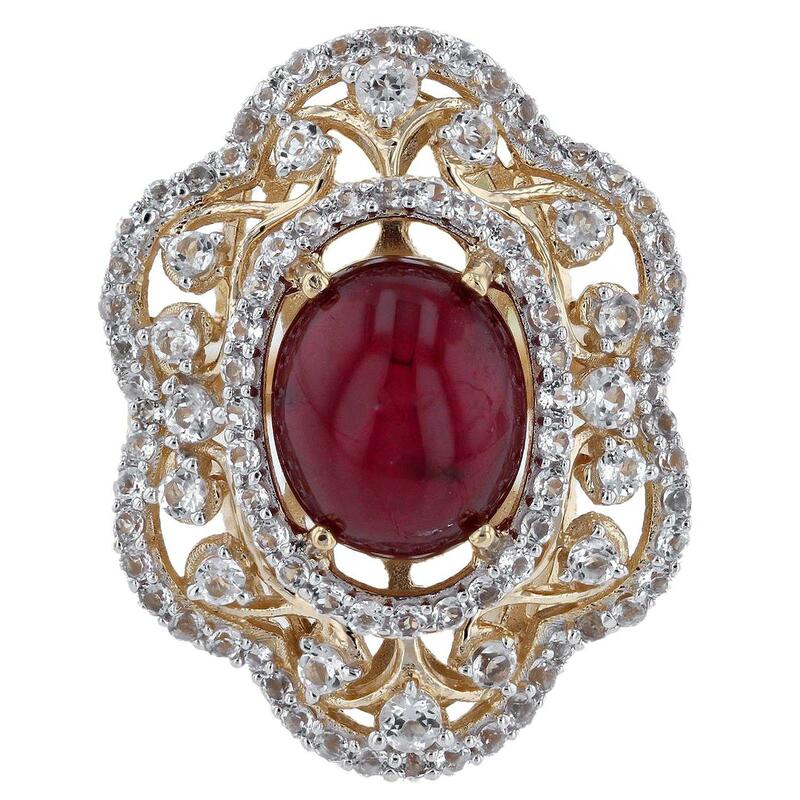 One prong set oval cabochon cut natural ruby, measuring 12.00 x 10.00 x 6.50mm, approximate weight of 8.00ct., clarity is heavily included, type II, medium dark, brownish, slightly purplish red color, (GIA slpR 6/1), cut is good. Glass & Flux treatment. Ninety-six prong set round mixed cut natural white topaz, measuring 2.50 - 1.50 x 1.30 mm, approximate total weight of 1.45ct., clarity is eye clean, colorless, very slightly grayish, white color, (GIA W 0/3), cut is good. Total Weight of Colored Stones 9.45 ct.